Why the awarding of a public bid for the vital supply of livestock vaccine against bluetongue is being delayed for four months now? What does the State need in order to take decisive steps to end the outbreak in 2015? Is there a war between distributors of veterinary pharmaceutical products over the large public procurement tender? “Knowing the way of thinking in Bulgaria, when there is talk about millions and millions of levs, there are always people who experience euphoria. The most recent talk was about five million doses of a vaccine against bluetongue. We are speaking of five to six million levs (at a wholesale unit price of 55 euro cents) without VAT. Someone hears it and immediately begins to fantasize. There are people who love to fantasize.” This is what veterinarian Georgi Yanchev explained to us. He is a co-owner in a company for import and distribution of veterinary pharmaceuticals. In early summer, he and his family clashed head-on and once again with the Agriculture Ministry. The reason for the conflict was the choice and the delivery of the vaccine against bluetongue. On July 14, the reference laboratory in the UK announced that there was an outbreak of bluetongue serotype 4 among livestock in Bulgaria – sheep, goats and cattle. The Ministry of Agriculture and Food was forced to conduct a vaccination. Dr. Pavel Yanchev – brother and partner of Georgi Yanchev – explains that the logical choice would be a vaccine against the respective serotype that has a valid license in the country. “In Europe, the conditions are such that only inactivated vaccines can be used,” says the veterinarian. The ideal choice would be a vaccine that has a valid license across Europe. Currently there is one single vaccine that is licensed for all European Union Member States because it is licensed directly by the European Medicines Agency. It is made by the French company Merial and is specially designed for Corsica and Marseille. However, the vaccine was not suitable because it is a combination of fourth and second serotype and vaccination against serotypes that do not cause disease in a given area is absolutely prohibited in Europe, the Yanchev brothers specify. This fact makes the Merial vaccine inapplicable in Bulgaria. In this aggravated outbreak situation, as there was no available vaccine licensed in Europe or in the country, the Executive Director of the Bulgarian Food Safety Agency authorized the use of another vaccine. A vaccine that is licensed in any EU Member State was to be selected. It turns out that in Europe there is only one licensed vaccine against bluetongue serotype type 4. It is registered in Spain and it is produced by CZ VETERINARIA. Brothers Yanchev are the exclusive representatives of the Spanish Lab in the country. This fact actually makes them, surprisingly for them as well, the only possible supplier of the vaccine through public procurement. Since the European Commission is expected to recover between 80 and 100% of the costs of vaccination in the country, it was clear for both the Agriculture Ministry and the distributors that Bulgaria was going to receive vaccines by the manufacturer at the lowest possible price. The now-former Deputy Director of the Bulgarian Food Safety Agency, Dr. Radoslav Karabadjakov, also confirmed that there was only one mono vaccine – the one registered in Spain, which according to the Agency is the only one that can be currently applied in Bulgaria. Brothers Yanchev explain that representatives of CZ VETERINARIA have informed them that an outbreak of bluetongue of serotype 4 in Bulgaria has been officially announced by the International Bureau. The Spaniards have declared that they were the only manufacturer that can legally provide such vaccine and urged the brothers to step up and do everything possible for this to happen. The Agriculture Ministry, however, refused to negotiate with the local representatives of the Spanish Lab and decided to negotiate directly with the manufacturers. There have been several attempts of correspondence between the Bulgarian institutions and that Lab. The first attempt was made by the Food Safety Agency. The State employees announced that they were going to contact the Lab, because this was the procedure. The brothers gave them the personal e-mail of the product manager of CZ VETERINARIA because it was August and all Europeans are normally on vacation then. The Lab made it crystal clear that they had their exclusive representative for the country. In the aftermath, a prolonged correspondence between the agricultural attaché of Bulgaria in France, Vesselina Evdokimova, and the Spaniards began. The said attaché became notorious with her wish to refurbish her living quarters in Paris for the “modest” amount of around 50,000 euro. In 2012, her proposal for it stirred confusion and bewilderment in the Foreign Ministry and the Ministry of Agriculture. Evdokimova corresponded with CZ VETERINARIA using lurid language. She called the Agricultural Minister “My Minister”, as if inspired by Göring, who called Hitler My Führer. Evdokimova explained to brothers Yanchev later that her correspondence was commissioned by the Ministry. She has been assigned the task to seek contact with all labs that produce vaccines against bluetongue, so that the Agriculture Ministry can learn its options. The Spanish Lab told her that these matters should be referred to their exclusive representatives in Bulgaria. The third attempt to contact CZ VETERINARIA came from the Ministry itself. And the Spaniards once again referred them to their distributors in the country. While local State servants kept an active, albeit fruitless, correspondence with the Spaniards, some disturbing events happened. First, the private email address of the product manager of CZ VETERINARIA fell into the hands of the company “Ivesta 2003”, a preferred supplier of the Ministry of Agriculture. Thirty minutes after the brothers Yanchev provided the personal e-mail of the product manager of the Spanish Lab to the Food Safety Agency, CZ VETERINARIA received a message on that same email address from “Ivesta 2003”, voicing interest to represent them in Bulgaria. The Spaniards forwarded the request to their Bulgarian partners. Dr. Pavel Yanchev is still at a loss how this email address ended in another company. “How many employees have access to the emails that we sent, and who could give it to the other private company in question, we can only speculate, but it is a fact that the Lab was approached through the email address of the product manager. At this time only three people in Bulgaria knew it. These attempts cannot fly and it is very strange to me that they made them. This obviously cannot happen.” One can only guess where the leak came from. We can also only guess how individual employees of the Food Safety Agency were motivated to help, but these are educated guesses. In the difficult outbreak situation, the brothers awaited authorization from the Agency for the use of the CZ VETERINARIA vaccine in Bulgaria. Meanwhile, another local company, headed by Dr. Simeon Panteleev, submitted documents for the licensing of the vaccine against bluetongue of another Spanish company – LABORATORIOS SYVA. Its license was issued in Spain in 2006 and was suspended in 2011. Undoubtedly, the application was not in breach of the law. But while that was happening, unbeknown why, the authorization to use the vaccine of CZ VETERINARIA was delayed. If hypothetically the documents for the second vaccine are to be validated, then it would become a priority choice of the Agriculture Ministry. To date, the procedure for licensing the vaccine of LABORATORIOS SYVA is stopped. The Head of the Unit for Acceptance and Validation of Applications at the Food Safety Agency, Dr. Emil Kozhuharov, told us that the application itself – part 2, 3 and 4, which concern the quality of the product, were written in Spanish, which does not allow their assessment by Bulgarian experts. In addition, under Bulgarian legislation they have to be presented in Bulgarian or English. The expert explained the omission with negligence. Furthermore, it appears that LABORATORIOS SYVA, through its distributor Dr. Simeon Panteleev, has not paid the fee at the rate of 3,500 levs for the services of the Food Safety Agency. Because of the latter fact, the Unit for Acceptance and Validation of Applications has been audited by the Food Safety Agency. According to our sources, violations have been established, but no one has been punished. If a product is licensed in any other EU Member State, it is already placed under the mutual recognition procedure. However, as explained above, this fact should be mentioned in the official application. The question why Dr. Kozhuharov wanted to prevent the delay of the procedure remains open as this is a problem of the applicant, and not his own. The direct supervisor of Dr. Kozhuharov – Dr. Boris Borisov – excuses the communication between his subordinate and the Spanish Lab with information from an unofficial reference of the European Medicines Agency. It says that this medicine is used in several countries and mentions several times that it is a registered one. Why, however, did Dr. Borisov trust the information from an unofficial document, such as the reference, while he neglected the official statement? It is not clear why the experts failed to check the official European registries if they had doubts? If indeed such doubts existed, it was not Dr. Kozhuharov who had to communicate with the contact person designated by LABORATORIOS SYVA, but the Director of the Food Safety Agency. And he had to do it through official letters. However, this is simply what the law says. The correspondence further sheds light on another strange fact. LABORATORIOS SYVA explained in writing to Dr. Kozhuharov that the documentation for their vaccine serotype 4 will be changed to be in line with European requirements. 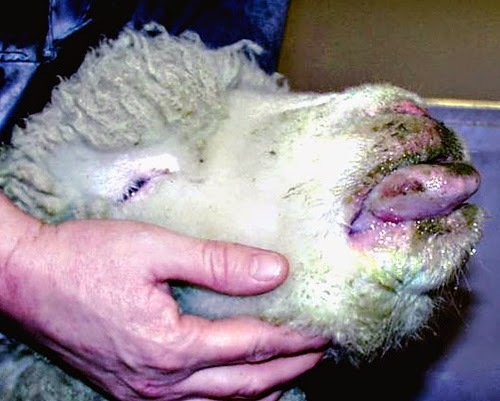 However, they write that this would happen in the next period because vaccines against other types of bluetongue were now a priority for the company. And since when is a company allowed to apply for a license with the clear understanding that its documents are inadequate? “You know, we are not an investigative body,” this is how Dr. Borisov answered the above question. He added that there was no way for him to know the logic of the company. These statements would raise even more questions, but in this case they seem to already have an answer. According to insider sources, there is an audit report on 21 randomly selected veterinary products. The finding is that over 80% of the checked products have been licensed by the Food Safety Agency and precisely by the Unit for Control of Veterinary Pharmaceutical Products, led notably by Dr. Borisov, without meeting the documentary requirements for the quality of the active substance. What does this fact mean? Does it mean that medicines that are going to be recalled everywhere in Europe can be licensed in our country? It is possible. Are foreign manufacturers hoping to undergo a lighter and more “casual” licensing procedure in our country? And how else can we explain the documentary gaps in the submission of documents for registration? Everything written here gives the impression that the Agriculture Ministry is unwilling to award the contract for the delivery of vaccines to the exclusive representatives of CZ VETERINARIA in Bulgaria. It emerges that other entrepreneurs are trying to displace the brothers Yanchev as distributors for the Spaniards. Documents for the licensing of another vaccine against bluetongue have been logged, on top of it for one which has non-compliant documentation. Meanwhile, the contract for the vaccine, which according to experts is currently the only applicable in the country, is still not awarded. The brothers argue that they can only guess whether the Agriculture Ministry deems them an “inappropriate” company. Georgi passionately explains: “In our industry people know us and we are known for not being very suitable. We don’t participate in public procurement tenders, not that I want to say something bad about procurement. We talk too much. The Food Safety Agency constantly receives criticism from us about its work, especially in the licensing of veterinarian products in Bulgaria. There has never been love between us. They are not our friends. We have never sought friends in the Food Safety Agency and the Agriculture Ministry. According to the veterinarian, the procedure for awarding the contract for the supply of the vaccine is already overdue. If the government (the caretaker one) found slightly above three million levs with included VAT to prepay 50% of the contract, the money would have been received by the manufacturer by November 15, which means the start of production. The latter lasts 120 days, or about 4 months. This means by mid-March the vaccine would be produced and it will arrive in a week from Spain. If the Food Safety Agency brings its act together, by mid-April the vaccine will be distributed to doctors to start vaccination and revaccinate in the second week of May, thus at the beginning of June the animals will have immunity. However, June is a risky month. “We will pray to the Lord to be gracious and that the culicoides will come later,” Galya Yancheva comments. What will the Ministry of Agriculture do? Is it going to vaccinate or not? At the end of August, the caretaker Minister Vassil Grudev promised to provide three million levs to launch the vaccination. Obviously, this did not happen. Although the budget update was approved and seemingly there is money for agriculture, no vaccines have been ordered so far. We are yet to learn what is the new Minister Desislava Taneva planning for the livestock sector? Is she going to close the door to it or is she going to try to rescue it?